The goal of the Texas Farm Bureau Legal division is to safeguard members’ interests and Farm Bureau policy in the courts. The Texas Farm Bureau Legal Defense Fund is the primary tool, with the primary objective to implement Farm Bureau agricultural and rural policy issues through the state and federal court systems. Farm Bureau uses these funds to participate in legal actions either as a party, intervenor, as an amicus curiae (friend of the court) or as a financial contributor to policy-related litigation efforts of others. The Texas Farm Bureau Legal Defense Fund cannot be used to provide legal advice to individuals, but is used in cases that involve Farm Bureau policy issues. Generally, it is used on issues that will have a statewide effect on agriculture or property rights. Case Summary: On June 29, 2015, the EPA published its final rule on the definition of the “Waters of the United States”. The Rule was proposed in March 2014 and was promoted as providing clarity and certainty to farmers and ranchers and other affected businesses. The lawsuit claims that the Rule is vague, and violates the Constitution on several grounds. The Rule was also promulgated in violation of numerous procedural rules and safeguards. The parties are asking the court to declare the Rule invalid, vacate the Rule and enjoin EPA from enforcing the Rule. Significance: If the Rule is allowed to stand it appears to grant the EPA and the Corp of Engineers broad control over land use beyond what Congress authorized in the Clean Water Act. TFB Involvement: TFB, along with the American Farm Bureau Federation, Matagorda County Farm Bureau and 11 other agricultural and industry groups filed suit against the EPA. Status: The suit was filed in federal district court in the Galveston division of the southern district of Texas on July 2, 2015. The case is currently stayed. TFB along with the same coalition also are challenging the rule with a protective petition for review filed originally in the U.S. 5th Circuit but now transferred to the 6th Circuit. The 6th Circuit has stayed the Rule nationwide pending a decision on jurisdiction. Case Summary: On April 11, 2012, TCEQ adopted new Chapter 36 rules for drought. The rules addressed how to enforce priority calls by senior water right holders in river basins without a watermaster. The rules allow the executive director of TCEQ to not suspend junior water rights holders based upon public health, safety and welfare concerns. Dow Chemical Company made a priority call for water and TCEQ suspended water rights on the Brazos River to all users but municipalities and power generation. TFB filed suit. The Texas Department of Agriculture filed an amicus brief in support of TFB’s position. Significance: The new rules violate the priority doctrine “first in time, first in right” found in Texas Water Code § 11.027 by allowing TCEQ to allow junior water rights holders to continue to divert water while senior non-municipal rights are shut off, violating vested property rights. TFB Involvement: TFB filed suit against TCEQ on Dec. 14, 2012. Status: The Travis County District Court ruled in favor of TFB that TCEQ’s rules violated the priority doctrine established in the Water Code. TCEQ appealed and oral argument was held on April 24, 2014. The Corpus Christi Court of Appeals sided with TFB and affirmed the trial court ruling on April 2, 2015. TCEQ is appealing to the Texas Supreme Court. Case Summary: Three environmental groups the Defenders of Wildlife, Center of Biological Diversity and WildEarth Guardians filed suit in the U.S. District Court for the District of Columbia on June 16, 2014, challenging the listing of the Lesser Prairie Chicken (LPC). They claim the bird should be listed as “endangered” instead of “threatened” and challenge the 4(d) rule exempting continuation of agriculture practices. They want the LPC listing to be reconsidered claiming both the Endangered Species Act and the Administrative Procedures Act were violated in the initial listing by US Fish and Wildlife Service. The five states affected by the listing are Texas, Kansas, New Mexico, Colorado and Oklahoma. Significance: If the listing is upgraded from “threatened” to “endangered” the agriculture exemptions found in the 4(d) rule would no longer be available. TFB Involvement: TFB along with Kansas Farm Bureau, New Mexico Farm and Livestock Bureau, Colorado Farm Bureau and the American Farm Bureau Federation intervened in the case to oppose the challenge to agriculture exemptions. Status: The court transferred the case from Washington, D.C., to the federal district for the Northern District of Oklahoma on Nov. 18, 2014. Case Summary: The Pacific Legal Foundation prepared a petition pursuant to the Endangered Species Act to downlist or delist five different species located in the Southwestern United States. The petition proposes delisting Gypsum Wild-Buckwheat (New Mexico) and downlisting the Black-Capped Vireo (Texas), Kuenzler Hedgehog Cactus (New Mexico), Lesser Long-Nosed Bat (Arizona and New Mexico) and Tobusch Fishhook Cactus (Texas) from endangered to threatened. The U.S. Fish and Wildlife Service (USFWS) already recommended these status changes after a five-year status review was completed for each species. The petition seeks to compel the downlisting that already has been recommended. TFB Involvement: Texas Farm Bureau, along with an Arizona rancher, New Mexico Cattle Growers’ Association, New Mexico Farm & Livestock Bureau and New Mexico Federal Lands Council, joined with the Pacific Legal Foundation to file a petition with the U.S. Department of Interior and the USFWS to downlist or delist five species in the Southwestern United States. Status: The delisting petition was sent to the USFWS on July 11, 2012. The agency did not respond within the required 90 days. After the notice to sue was sent, the parties filed a complaint in New Mexico Federal District Court requesting the downlisting of the species. The USFWS published an initial finding of downlisting and the case was dismissed and the court adopted a settlement agreement. The USFWS was supposed to issue a final finding proposing to downlist the species no later than September 2014. However, no proposal has been issued so suit was filed again on Nov. 20, 2015. Case Summary: The City of Lubbock owns the groundwater rights to the Coyote Lake Ranch property and plans to develop a well field. After the City began testing and developing a well field, the landowners sued the City and won a temporary restraining order to stop the interference with the surface estate. The City, however, filed an interlocutory appeal to the Amarillo Court of Appeals who reversed the trial court. The issue in the case is whether the Accommodation Doctrine applies when a groundwater estate has been severed from the surface estate. Significance: Whether groundwater rights holders will be bound by the same rules that govern mineral owners by applying the Accommodation Doctrine to groundwater development. TFB Involvement: TFB filed an amicus brief in support of the Accommodation Doctrine on Jan. 29, 2015. Oral argument was held on Oct. 14, 2015. Status: The case is on appeal to the Texas Supreme Court. Case Summary: The Aransas Project (TAP) filed suit against the Texas Commission on Environmental Quality (TCEQ) alleging they are guilty of a “take” under the federal Endangered Species Act of whooping cranes. TAP alleges that TCEQ did not properly manage water rights on the Guadalupe and San Antonio rivers to allow enough freshwater flow for the whooping cranes and because of that mismanagement, a number of whooping cranes died. After the original suit was filed only against TCEQ, the following entities and TFB filed motions to intervene in this case: Texas Chemical Council (TCC), Guadalupe-Blanco River Authority (GBRA), San Antonio Water System (SAWS), San Antonio River Authority (SARA), Union Carbide Corporation (UCC), and CPS Energy. 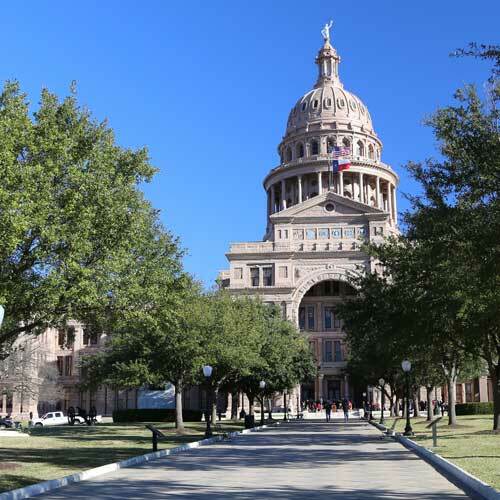 In addition, the State of Texas filed a motion for the court to abstain from this case to allow the implementation of SB 3 from the 2007 Legislative Session. The court only allowed TCC and GBRA to intervene in this case. All of the other entities appealed this decision to the U.S. Fifth Circuit Court of Appeals. Significance: Key issues include the following: the absence of actual water users included as a party to the suit; water permit rights which are vested property rights may be diminished; TCEQ, which is party to the suit, would have its regulatory authority greatly expanded if it loses; and, this case has the potential to have a much broader effect on other rivers that have endangered species, including increased federal oversight of Texas surface water. TFB Involvement: TFB, along with AFBF, attempted to intervene in the case on May 26, 2010, to protect the interest of agricultural users with water rights but it was denied by the court. TFB continued to monitor the case and TFB, along with AFBF, California, Oregon, Oklahoma and Wyoming Farm Bureaus filed, an amicus brief supporting TCEQ at the district court level and filed an amicus brief to the Fifth Circuit when the case was appealed. Status: In December 2011, the district court heard oral argument on the merits. The court ruled on March 11, 2013, that TCEQ violated Section 9 of the ESA and is liable for a “take” of whooping cranes, and issued an injunction banning new water permits. The decision was overturned when the case was appealed to the Fifth Circuit where it was found the lower court had misapplied the proximate cause analysis and the injunction was an abuse of discretion. TAP filed its petition for writ of certiorari to the U.S. Supreme Court and it was denied on June 22, 2015. Case Summary: The Braggs own two pecan orchards located over the Edwards Aquifer. After the Edwards Aquifer Authority (EAA) was created, the Braggs filed for groundwater permits for the wells on their property. The EAA denied one permit and granted a permit for much less water than requested for the other well. The Braggs filed suit and, after years of litigation in both state and federal court, the claim that has survived is whether the EAA’s actions constituted a taking under the U.S. and Texas constitutions. The state district court found in favor of the Braggs and awarded over $700,000 in damages. Significance: The decision affects the future of water rights takings cases on how water rights should be valued. TFB Involvement: Texas Farm Bureau submitted a brief to the court of appeals addressing the questions on how to value the loss of water rights, whether the loss was physical taking and should the loss be paid for by the district or the state. Status: The case was appealed to the San Antonio Court of Appeals, and the court found a taking had occurred and the method for valuing the taking is the “parcel as a whole” test. The decision was appealed to the Texas Supreme Court, and on May 1, 2015, the Court denied the appeal, leaving the court of appeals’ decision final. Case Summary: Dr. Jefferson was prosecuted by the Texas State Board of Veterinary Medical Examiners (“Board”) for providing treatment and care for shelter animals owned by the shelter where Dr. Jefferson worked. Under Texas Law, the owner (in this case the shelter) can perform acts of veterinary medicine but are exempt from the Veterinary Licensing Act under what is often referred to as the “owner exemption”. Dr. Jefferson attempted to challenge the prosecution by filing suit but the court held that Dr. Jefferson had not exhausted her administrative remedies. Significance: If the court of appeals affirms this decision, then any agricultural producer illegally prosecuted by the Board under the “owner exemption” would have to go through the full agency process before the legality of the Board’s action could be contested. This is both costly and time consuming. This also completely undermines the curtailment of the Board’s authority set by the Legislature. TFB Involvement: TFB filed an amicus brief on October 27, 2015, in support of the right of agriculture owners to manage the care and treatment of their animals free of state regulation under the Veterinary Licensing Act. Status: The case is on appeal to the Third Court of Appeals. Case Summary: League of United Latin American Citizens (LULAC) and the San Antonio Water System (SAWS) sued the EAA under the Voting Rights Act alleging that how the governing board is elected disproportionally favors Anglo voters. The EAA argues that it is a special purpose governmental entity and is not subject to the one-person, one-vote requirement of the Equal Protection Clause. Significance: The EAA was created as a special-purpose district to oversee irrigation, environmental and urban interests and the structure of the board is to balance those interests. TFB Involvement: TFB filed an amicus brief to the federal district court in San Antonio on April 11, 2014, in support of the EAA’s motion for summary judgment. Status: Oral argument was heard on June 2, 2014. FPL Farming Ltd. v. Environmental Processing Systems, L.C. Case Summary: EPS operates an injection well for non-hazardous waste on land adjacent to the land owned by FPL Farming. FPL sued EPS for trespass and negligence claiming that wastewater has migrated into a saltwater aquifer beneath their land. The Beaumont Court of Appeals found in favor of FPL Farming and recognized a subsurface trespass at a depth of more than 7,000 feet. Significance: Whether the injection of wastewater, which then migrates across subsurface property lines, constitutes a trespass. TFB Involvement: TFB submitted an amicus brief on January 2, 2014, to the Texas Supreme Court urging the Court to affirm the Beaumont Court of Appeals and strengthen subsurface property rights. Status: The Texas Supreme Court on Feb. 6, 2015, found that because the landowner failed to prove all the elements of a trespass action that there was no need to decide whether deep subsurface wastewater migration can constitute an actionable trespass. Case Summary: Permit applicants sued the Edwards Aquifer Authority (EAA) after being denied a permit to pump groundwater. The applicants purchased the land for farming after the EAA was created. The applicants submitted affidavits to show water use on the land by the prior owners, but the EAA found inadequate evidence of irrigation for the amounts requested during the historical period. The applicants challenged those findings and added a takings claim. The district court found no property right, but the San Antonio Court of Appeals reversed and found that the applicants have some ownership rights in the groundwater. Significance: The court is determining what rights landowners have to groundwater beneath their land. TFB Involvement: TFB submitted an initial amicus brief to the Texas Supreme Court on April 28, 2009, arguing that a landowner does have a vested property right in the groundwater underlying his land. Subsequently, TFB submitted another amicus brief with the Texas Cattle Feeders Association and a reply letter to the court with the Texas Wildlife Association, Texas and Southwestern Cattle Raisers Association and Texas Landowners Council. Status: The Texas Supreme Court issued its decision on Feb. 24, 2012, and concluded that there is a vested property interest in groundwater in place. Case Summary: The surface owner, Mr. Merriman, owns a 40-acre tract that contains his residence and the headquarters for his cattle operation. He brings his cattle from other leased tracts to work them on his own 40 acres where he has made significant investment in pens and corrals. He does all the work himself on weekends and evenings since he has another full-time job. He has conducted his operation in this manner for more than a decade. XTO Energy (XTO) drilled and completed a producing well on the property. Merriman notified XTO, before a well was drilled, about his operation and the problem with the location of the well. He also filed suit to stop the well, but XTO drilled the well while the suit was pending. Merriman argues that the well interferes with his cattle operation and has made it impossible to continue. The trial court granted a summary judgment motion in favor of XTO. The issue in the case involves the “Accommodation Doctrine,” which somewhat balances the rights of the mineral estate owner with the rights of the surface owner. This doctrine provides that if an existing use by surface owners would be impaired and the mineral owners have alternatives available, the mineral owners may be required to use those alternatives so that the surface owners can continue their existing use. While the trial court granted XTO’s motion for summary judgment, Merriman argues that the Accommodation Doctrine is a fact-intensive decision that should have been decided by a jury. Significance: The elements of the Accommodation Doctrine should be determined by the trier of fact. TFB Involvement: TFB submitted a letter brief to the Waco Court of Appeals in support of the surface owner’s legal positions regarding the application of the Accommodation Doctrine to the dispute between a surface owner and a mineral owner. Status: The surface owner appealed the trial court’s summary judgment decision to the Waco Court of Appeals. Oral argument was heard on April 13, 2011, and the court ruled against Merriman. He filed a petition for review in the Texas Supreme Court, but it was denied. TFB submitted a brief in support of Merriman’s motion for rehearing and it was granted. On June 21, 2013, the court affirmed the lower courts’ summary judgment decisions in favor of XTO. However, the court disagreed with the appellate court’s analysis of the Accommodation Doctrine and agreed with TFB’s amicus brief that the analysis should not consider the leased land. The court also agreed with TFB that the condition of the surface and its current uses should be considered as to whether there is no reasonable alternative. Case Summary: Texas Rice Land Partners (Texas Rice) challenged a pipeline company’s common carrier status resulting in eminent domain authority. Texas Rice appealed the Beaumont Court of Appeals’ decision affirming summary judgment in favor of the pipeline company. The lower courts found that the pipeline company established its common carrier status as a matter of law. The courts gave conclusive effect to the pipeline’s filings with the Railroad Commission, but did not require any evidence that the pipeline will actually operate as a common carrier. Texas Rice argued that just because the pipeline company agreed to be regulated by the Railroad Commission that in of itself does not automatically make it a common carrier. Significance: An irrebuttable presumption would be created that any entity checking the appropriate box on a Railroad Commission form would automatically become a common carrier entitled to exercise eminent domain authority. TFB Involvement: TFB submitted an amicus brief to the Texas Supreme Court arguing that if a pipeline is not a common carrier then it should not have eminent domain authority. TFB also submitted a second brief arguing against the granting of a motion for rehearing. Status: The property owners won when the Texas Supreme Court on Aug. 29, 2011, reversed the lower court’s ruling and on March 2, 2012, denied the pipeline’s motion for rehearing and substituted a new opinion. The court found that merely checking a box is not conclusive proof of common carrier status. The case has been remanded to the district court where evidence will be allowed to determine if the pipeline is a common carrier or not. Case Summary: This case involves identical issues that are in the Texas Rice case, where TFB previously filed an amicus brief. The same pipeline company, Denbury Green, claims it is a common carrier having the power of eminent domain and is suing the landowner to prevent the landowner from impeding with its alleged rights to enter the property. Significance: This case contains the same issue as the Texas Rice case. TFB Involvement: TFB submitted an amicus bench memorandum in district court similar to the brief filed in the Texas Rice case. The brief was filed in support of Johnson’s request for a temporary injunction to prevent Denbury from entering the land and constructing a pipeline. Status: TFB filed its brief on July 22, 2010. On Aug. 2, 2010, the court granted the temporary injunction. The case has settled. Case Summary: The plaintiff sued the defendant in a personal injury lawsuit arising out of a horseback-riding accident. The plaintiff fell off a horse when it bolted as a result of a vine wrapping around its rear flank. The defendant horse owner was granted a motion for summary judgment on the basis that the plaintiff’s claim was barred by the Texas Equine Activity Act. The Tyler Court of Appeals, in a two-to-one opinion, reversed and remanded. The court held that there were fact questions as to whether inherent risks of horseback riding included risk of the riding guide proceeding along a trail through a heavily wooded bog, and whether the guide failed to properly determine the rider’s ability to engage safely in the activity. Significance: TFB helped to successfully pass the Texas Equine Activity Act in 1995. The court’s decision strengthened the broad protections intended by the Legislature for equine activities. TFB Involvement: TFB submitted an amicus brief to the Texas Supreme Court on Jan. 11, 2010, in support of the Equine Activity Act. Status: The Texas Supreme Court reversed the court of appeals and found that the Act did limit the liability of the Loftins and that the Lees should take nothing. The Court found all of the causes of Lee’s injury fell within the risks listed in the act. Further, the Court found that the inquiry by Loftin into Lee’s ability to ride could not have prevented the accident. The original summary judgment granted in favor of the Loftins by the trial court was proper. In Re Eagle Ford Land Partners, L.P.
Case Summary: Peregrine Pipeline Company, a privately owned for-profit entity with the power of eminent domain, condemned a pipeline easement on land owned by Eagle Ford Land Partners in 2007. A jury awarded Eagle Ford $1,633,000, plus interest, as just compensation. Peregrine filed an appeal, but refused to make a deposit, post a supersedeas bond or take any other step to protect Eagle Ford’s award of just compensation during the pendency of the appeal. At the same time, Peregrine refused to pay the judgment, informing Eagle Ford that it would instead have to pursue ordinary collection procedures to obtain the compensation it was due, with no guarantee that such efforts would succeed. Eagle Ford asked the trial court to issue an order requiring Peregrine to post appellate security, and the court entered an order requiring a bond or deposit of $1,635,039.89. The Waco Court of Appeals, without explaining how the trial court abused its discretion, vacated the order. Significance: If the ruling stands, it could invite abuse by other private condemnors to thwart collection of compensation awards by landowners. TFB Involvement: TFB, along with Texas Forestry Association, Texas Land and Mineral Owners Association, Texas and Southwestern Cattle Raisers Association and Texas Wildlife Association filed an amicus brief in support of landowners. Status: Landowners filed a petition for writ of mandamus to the Texas Supreme Court on Sept. 18, 2014. The Court denied it on May 1, 2015. Case Summary: In 2001, the City of Austin (City) condemned property owned by Harry M. Whittington and his family. The City built a parking garage and an Austin Energy chilling plant on the property. A trial court found the condemnation invalid because it was made in bad faith. The Third Court of Appeals upheld the lower court’s decision and held that the bad faith finding was sufficient because there was evidence that the City knowingly misrepresented the necessity of building the chilling plant on the property. The City contends that no bad faith exception exists in Texas jurisprudence and it has no basis in constitutional or statutory law. The Whittingtons respond that the Supreme Court and the courts of appeal uniformly recognize bad faith as an affirmative defense to condemnation and cite cases, including Supreme Court cases, that show the affirmative defenses of fraud, bad faith or arbitrariness can be used to contest the presumption of necessity in a condemnation proceeding. Another argument is whether Senate Bill 7, passed in the 2005 Legislative Session, applies retroactively to condemnations initiated before 2005. Senate Bill 7 restricts condemnations for economic development and was remedial in nature since it was intended to address the 2005 Supreme Court of the United States case Kelo v. City of New London. The prohibition against retroactive application of laws doesn’t apply to “procedural, remedial or jurisdictional statutes.” Since this statute was intended as a remedial action, it should apply to this case and others that were initiated before 2005. Significance: Two key legal questions are whether there is a bad faith exception to condemnation proceedings, and whether Senate Bill 7 that passed in 2005 applies retroactively to condemnations initiated before 2005. TFB Involvement: TFB submitted an amicus brief with the Texas Supreme Court supporting the Whittingtons on Jan. 6, 2011. The TFB amicus brief asserts that bad faith is an affirmative defense to condemnation, and that Senate Bill 7 from the 2005 Legislative Session restricting condemnation for economic development applies retroactively to cases initiated before 2005. Status: This case was appealed to the Texas Supreme Court and oral argument was heard Sept. 14, 2011. The court reversed the court of appeals’ opinion on Aug. 31, 2012. The court determined that this property was necessary for public use. The court did affirm a key legal point made by TFB that a bad faith exception does exist in condemnation proceedings; however, the court did not find bad faith in this particular instance. Additionally, the Court affirmed TFB’s second legal point that provisions from SB 7 passed in 2005 do retroactively apply to condemnations initiated before 2005. The Court held that, since the provisions are procedural and remedial and do not affect vested rights, they do apply retroactively in this case. Case Summary: On March 23, 2009, the state filed a Petition for Condemnation of a 39-acre tract from members of the Laws family. On the same date, the state filed a Notice of Lis Pendens in the Official Public Records of Travis County, giving notice of the suit affecting the acquisition. A special commissioners hearing was set for July 1, 2009. Prior to the special commissioners hearing, the Laws subdivided a 51-acre tract, which included the 39 acres proposed for condemnation, into eight separate tracts ranging in size from 5 acres to 9 acres. The eight tracts were conveyed to separate corporations owned by different members of the Laws family. The family did this because they were being offered approximately half as much for their property as neighbors who had smaller tracts. The state challenged the right of the Laws to sever their property and the condemnation into eight different actions. The Laws family property was similarly situated as their neighbors, but because they had a larger tract they were being offered much lower prices. They legally divided their land before the condemnation occurred. The special commissioners, the trial court and the court of appeals have all agreed that frontage is frontage and should all be valued the same (whether formally subdivided or not) since the marketplace would treat all highway frontage the same way. Another issue in the case concerns lis pendens, which is a legal means to provide notice to prospective purchasers of pending litigation regarding real property. Under the lis pendens statute, a party to the lawsuit may file notice in the property records of the county where the property is located. Any purchasers of that property will be bound by the ruling of the court. This notice is to alert a potentially innocent purchaser that a lawsuit is pending so they can protect their own interests. The state claims that by filing their notice of lis pendens with the county, the trial court cannot even consider the fact that the Laws family divided their property before the date of taking. The state is trying to broaden the lis pendens statute from a simple notice provision to a restraint upon the courts recognizing landowner transfer of property interests. Significance: The issue for TFB is one of fairness to property owners who lose property to condemnation. TFB Involvement: TFB filed an amicus brief with the Texas Supreme Court in support of the Laws family on Feb. 25, 2011. Status: The Laws were allowed to sever their property in trial court. The state then filed a Petition for Writ of Mandamus in the Third Court of Appeals at Austin. The appeals court denied their petition so the State filed a petition for mandamus with the Texas Supreme Court. The Court, on Aug. 26, 2011, issued mandamus relief to the state allowing the underlying trial to happen in one cause number instead of eight separate trials. However, the court ruled that the landowners can present evidence that the best use of a larger tract of property would have been to treat it as smaller economic pieces. The Court only addressed the lis pendens issue in a footnote and did not accept the state’s broad view. Case Summary: The Lily Gardens (“landowner”) built a covering over an existing bridge that crossed a drainage easement connecting its two pieces of property. The easement at issue was conveyed in the early ’60s and the bridge was constructed at that time. In an attempt to beautify the property and to use it for paid events, the landowner constructed a covering over the bridge. The Brookshire Katy Drainage District (“District”), who was the easement holder, wanted the covering removed. The District passed new rules that retroactively defined the landowner’s rights under the 30-year-old easement. The landowner had asked the District to provide any information or study suggesting the covering obstructed the water drainage purpose of the easement. Instead, the District filed suit. The District sued for trespass and claimed the bridge covering obstructed the easement. The trial court granted summary judgment in favor of the landowner and the District appealed to the Houston Court of Appeals. Significance: Additional burdens could be added to an existing easement. TFB Involvement: TFB submitted an amicus brief to the Houston Court of Appeals asking the court to affirm the trial court summary judgment because the theories presented by the District are contrary to the concept of private property rights. TFB is arguing that the District should not be allowed to add additional burdens beyond what the original easement contemplated, and the landowner should not be denied its rights of use. Status: The court of appeals on Sept. 10, 2010, affirmed the trial court’s granting of summary judgment in favor of the landowner and the award for attorneys’ fees. The Texas Supreme Court denied the District’s appeal in 2012. Texas and TWDB v. Hearts Bluff Game Ranch Inc.
Case Summary: Landowners sued the State of Texas and the Texas Water Development Board (TWDB) for a regulatory taking based on the denial of a mitigation banking permit by the U.S. Army Corps of Engineers. The landowners had purchased the land for the purpose of creating a mitigation bank and acquiring a mitigation banking permit from the Corps. The land at issue was near the proposed Marvin Nichols Reservoir, but the landowners had asked the Corps before the purchase in 2004 if the reservoir plan would affect getting a permit and were told that it would not. In 2007, the Texas Legislature designated reservoir sites, including the Marvin Nichols Reservoir, which would include the land proposed for a mitigation bank. The landowners allege that the TWDB lobbied the Corps to not grant the permit because if the land at issue became a mitigation bank then it would make the Marvin Nichols Reservoir proposal much more expensive and possibly not viable. The state appealed to the Third Court of Appeals the denial by the District Court of its plea for sovereign immunity. The Third Court of Appeals reversed the trial Court and allowed the state sovereign immunity. Significance: The key issue is whether the state can prevent the development of private property without paying for it because the state wants to use the property in the future. TFB Involvement: TFB, along with others, submitted an amicus brief arguing in support of the landowners that the state’s actions have resulted in a regulatory taking and the court should accept this case for review. Status: The case was appealed to the Texas Supreme Court and oral argument was heard on Oct. 5, 2011. The court on Aug. 31, 2012, dismissed the case due to lack of subject matter jurisdiction and affirmed the lower court ruling. A motion for rehearing was denied on Nov. 16, 2012. Case Summary: The Mumford Independent School District (MISD) condemned 30acres of ranch land belonging to the Circle X Land and Cattle Company in Robertson County. MISD adopted a condemnation resolution without ever officially determining a public purpose or that the condemnation was necessary. The only proof they have given is an affidavit made years later and in the course of litigation by the school superintendent that they needed the land for a new high school. Significance: Allowing entities to take property without any explanation or show of need erodes private property rights. TFB Involvement: TFB submitted an amicus brief to the Texas Supreme Court in support of the Circle X Land and Cattle Company on Jan. 20, 2011. The legal issue for TFB is to ensure eminent domain requirements of public use and public necessity must be followed. Status: The Fourteenth Court of Appeals granted summary judgment in favor of MISD. Circle X filed a petition for review with the Texas Supreme Court, but it was denied. The Legal department also serves as counsel for Texas Farm Bureau by providing legal advice to the state board of directors, the executive director and other management staff. The department works closely with all departments and files lobby, ethics and other compliance reports with state and federal agencies.